I’ve got this machine that measures my blood sugar. When I wake up it I measure my fasting level. It measured over 400 the first time it was checked. Most folks are below 90. Everything’s kept in a small zippered pouch. I pull out a slender piece of plastic, an ingenious little chem lab with sensors and electronics on-board. 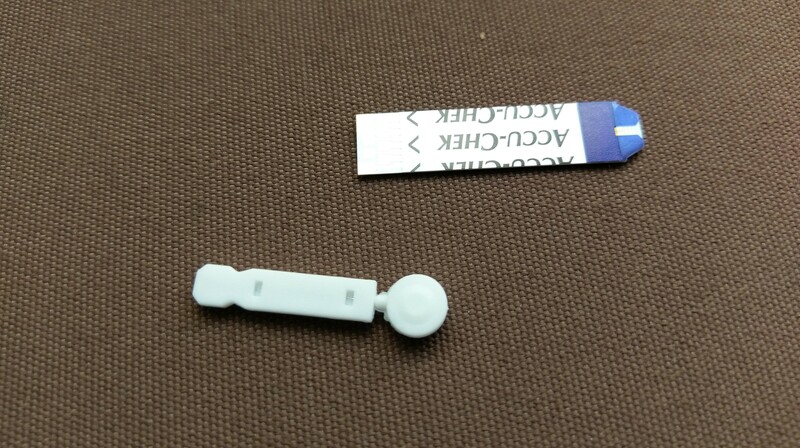 Next a lancet, a tiny needle encased in a plastic holder, gets placed in its applicator. You hold it next to your finger, push the trigger and the lancet pops out and breaks the skin. Its adjustable allowing you to set it at the very minimum for your specific case. This is totally pain free. All you need is a single drop of blood… and not a large one. It gets sucked up into the chem lab portion using capillary action. A few seconds later a number pops up. Today it was 129. By the time my number shows my finger has stopped bleeding. Just one drop. As a business the blood tester model is similar computer printers. The tester itself is cheap. The real money comes because you need fresh supplies constantly. Diabetics are a particularly good customer base. I’ve been monitoring my daily number to regulate how much insulin I need every day. I shoot two types. One is slow release and good for 24 hours. The other is to smooth spikes that come with meals. It’s taken five minutes before eating. I watch my injections and am often amazed by how little I feel as the needle goes in. Like the lancet these break the skin and not much more. I use #30 needles which are tiny. Because my entire insides will be reconfigured in the Whipple its certain my numbers and treatment will change. Right now I want to be as healthy and strong as possible. I am following doctors orders. isn’t science amazing? i’m so glad you’re doing the work necessary to stay as healthy as you can be before your ‘big day’! keep fighting, geoff. I do the same thing everyday! All those years you supported JDRF – this must give you an appreciation for what our kids go through every day. We met many years ago when I was on the board of the New Haven chapter. I’ve been following your current journey and wish the best for you. Geoff, I’m so sorry for the health issues with which you are now dealing. I’ve followed you’re career for a long time. (Originally from CT.) You and I are the same age, but I’ve always viewed you as a healthy “senior citizen” (a term I hate). I on the other hand have had Type 1 diabetes since 1964 so my life has been full of insulin, test strips, glucometers, and more doctor appointments than I care to think about. You have a very positive attitude about your diabetes and that’s a big help in dealing with a chronic disease. I hope the Whipple will take care of the diabetes, but if you find you still need insulin, you might consider an insulin pump. It’s the high tech approach to diabetes control. I’ve had a Medtronic for 20 years, and next April they will be releasing a basically closed system of a continuous glucose monitor and a pump that reacts appropriately to the ups and downs of each day. It should revolutionize diabetes treatment treatment in the future. My prayers are with you as you make this journey back to good health. on the phone right now with Jon we both want you to know we’re thinking of you. Geoff, I to take my readings daily and shoot myself each day and take metformin twice a day. Best of luck with your Whipple. 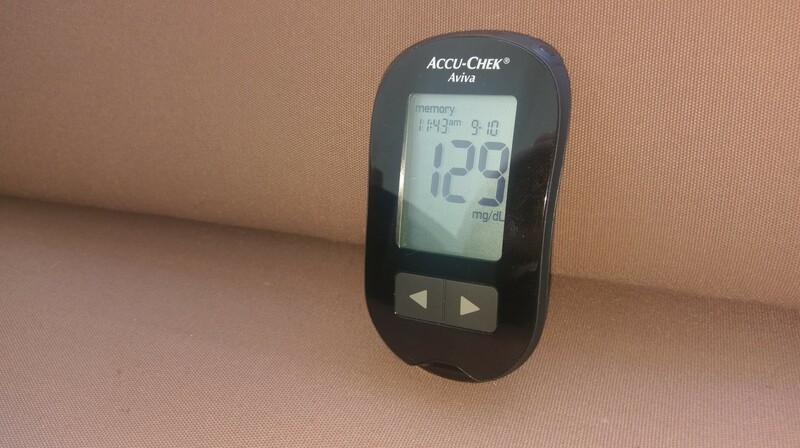 After taking care of my mom with diabetes for years I had quite a balancing act trying to maintain her numbers. You see if you eat, take your shot and then vomit because of the nausea, your sugar level will crash. Then also, when you do not eat at all, your sugar level will still creep up, then you do not know what to do. If you get an infection the sugar level will go crazy, mom’s when way down, all by itself, in fact the ER had to give her three glucose injections. I’ve been mixture of 1 and 2 for the past 30 years or so. A sobering thought is that I’ve given myself somewhere in the neighborhood of 6K+ shots of some time of insulin. So many in fact that the only worry I have is hitting muscle when I inject myself. On the upside, while yes, there are a plethora of supplies, the insurance co-payment is zero. Insurance companies are required by law to cover 100% of the cost. From an insurance standpoint, it’s a nifty disease to have. From a work standpoint (non-independent that is), it’s a nifty disease to have, since you can always call out sick or go home sick and no one can question whether you’re really sick or no. Wear a sensor on your upper arm, and scan it with your phone to get your blood glucose.